Attractive low spreading shrub suitable for shady areas. Grows naturally in NSW and Queensland in coastal areas. 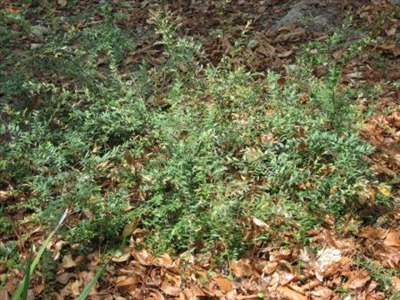 Has dense glossy dark green foliage, profuse white flowers and edible mauve berries. Used for making jams & sauces in Australia. Excellent container plants. Grows well in humid climates. Propagation Information: Fresh seed will germinate readily. Can also be grown by cuttings.